The western stand of Śląski Stadium in Chorzów will be rebuilt comprehensively. The rebuilding, on which the demolition of half of the recent stand is needed, increases the number of places on the stadium and i salso expected to improve the safety, provide quick evacuation, improve the comfort of watching the show and allow better access to toilets and gastronomic kiosks.. 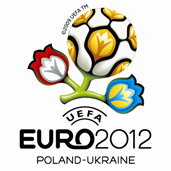 The Śląski Stadum aspires to be the arena of Euro 2012. The range extension of modernization of stadium was necessary because of the UEFA’s requirements. So the cost of modernization of the stadium increases to 360 million zlotys. 250 million zlotys have been given on previously planned changes, including roofing the stands. Thanks to the reconstruction, the number of seats on the stadium will increase from 48 000 to more than 52 000. Few tunnels which will help the people to go out from lower sectors of the stadium and a promenade, by which on the top of the stands it will be possible to walk the stadium around, are going to be built. 500 permanent toilets will also appear. In September, the so-called Press Tower on the western stand of the Śląski Stadium will be destroyed. The cost of demolition of the construction made from steel and reinforced concrete is half a million dollars. I write in concern to Euro 2012 about the news we got on the issue of the construction taking place and shortage of labour yet time is overdue. I would like to inform you that if we coupled with the organising/host committee for the Euro 2012 we could workout a way of getting cheap labour for the construction and yet the are even skilled in the limited time possible. we can avail you members skilled from plumbers to foremen. I promise with the added efforts we Poland must host the Euro 2012 and even on the issue of promoting the Tourism and Transportation sectors we as Travel consultants can also work hand in hand to see it through. I will be glad to get a postive response from you.